Baltimore, MD. 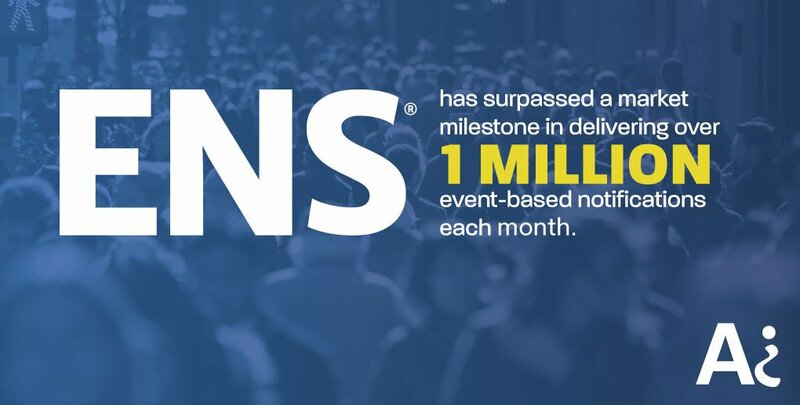 June 29, 2016 — Audacious Inquiry (Ai), a health information technology and policy company, announced that its clinical care coordination solution, Encounter Notification Service® (ENS®) has surpassed a market milestone in delivering over 1 million event-based notifications each month. ENS securely sends a patient’s inpatient and emergency department Admit-Discharge-Transfer (ADT) notifications to subscribing care team members, so they can coordinate timely, appropriate follow-up care. In addition, ENS can send a care summary (in C-CDA format) with the alert, so the care management team can smoothly transition patients from inpatient or emergency visits.